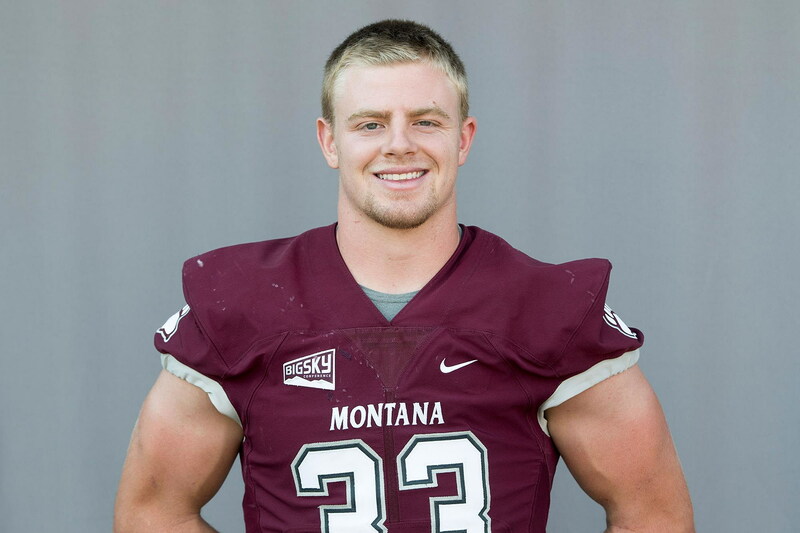 Montana linebacker Dante Olson has been named to the Athlon Sports All-America Team, his eighth All-America honor since finishing the 2018 regular season with a national best and school record 151 tackles. The Buck Buchanan Award finalist was one of just five players from the Big Sky Conference to make the one-team list. Olson was flown to Frisco, Texas, last week for the STATS FCS Awards Banquet where he took third in the voting for the Buchanan Award. He was named the FCS Defensive Player of the Year by Phil Steele Magazine. He will enter the 2019 season as the most decorated junior in program history. 2016: Academic All-Big Sky… Hauck Family Special Teams Player of the Year … Olson played in 11 games as a redshirt freshman at linebacker … Recorded 29 tackles, seven of them solo … Had two tackles for loss for six yards, also recorded a sack … Had back to back games with seven tackles against Miss. Valley State and Sacramento State … Recorded both tackles for loss and also his only sack in the Miss. Valley State game… Awarded the William (Robi) Robertson Memorial Athletic Scholarship at the annual Lindsay Awards Banquet. HIGH SCHOOL: Olson was a four-year letterman in football at Cascade Christian HS, where his team won four conference championships (10-3 in 2011; 13-1 in 2012; 12-2 in 2013, and 8-3 in 2014) in a row… Three-year team captain and defensive player of the year…. Also led his team in tackles for three seasons…Voted defensive MVP of his conference and the state two times… His senior year he had 135 tackles, 5 sacks, and 4 forced fumbles; rushed for 583 yards and 8 TDs… named to the state’s All-Star Football Game… A three-time all-state selection at linebacker and tight end (as a senior) … His prep coach was Jon Gettman…. Also lettered in basketball and tennis.